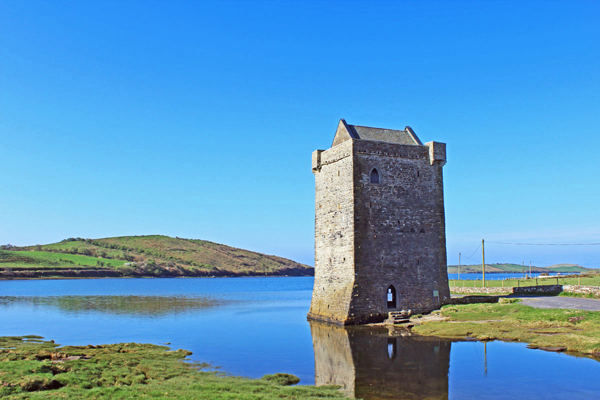 Wild Atlantic Way Ireland – Join us on a Long, Slow Trip. 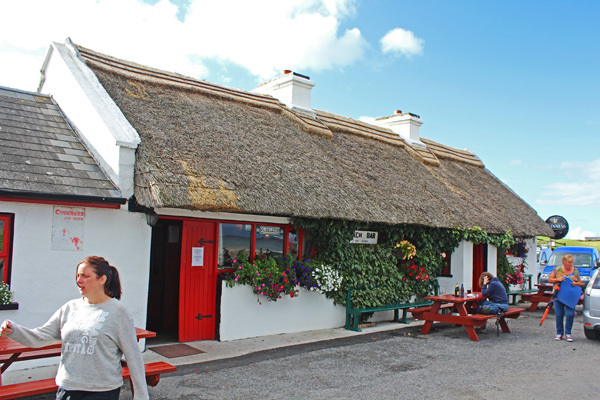 Join us on a journey around the Wild Atlantic Way in Ireland. From April 2014, we are slowly making our way up the west coast of Ireland. Starting in Kinsale in County Cork and finishing in the Inishowen peninsula in Derry City. 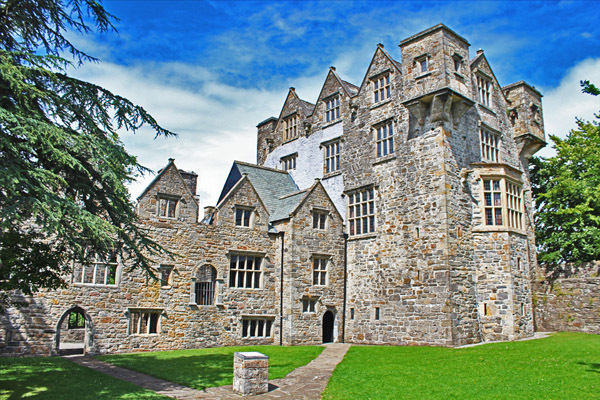 As we go along, we are looking at the scenery, exploring the music, visiting the places associated with your Irish surnames – as well as lots of history and culture along the way! So, let’s get the logistics out of the way. Here are the legs that we are covering – if a link is clickable, we have already completed that part of the journey and you can have a look at how we got on. Leg 1: Kinsale to Clonakilty, County Cork. Leg 2: Clonakilty to Baltimore, County Cork. 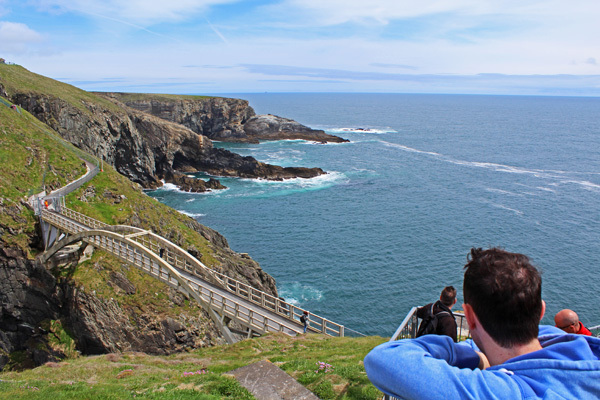 Leg 3: Cape Clear Island, County Cork. Leg 4: Skibbereen to Mizen Head, County Cork. 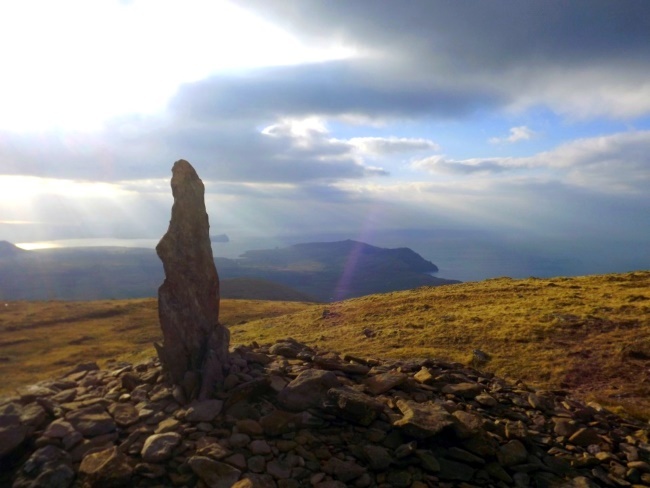 Leg 5: The Sheep’s Head Peninsula and Bantry, County Cork. 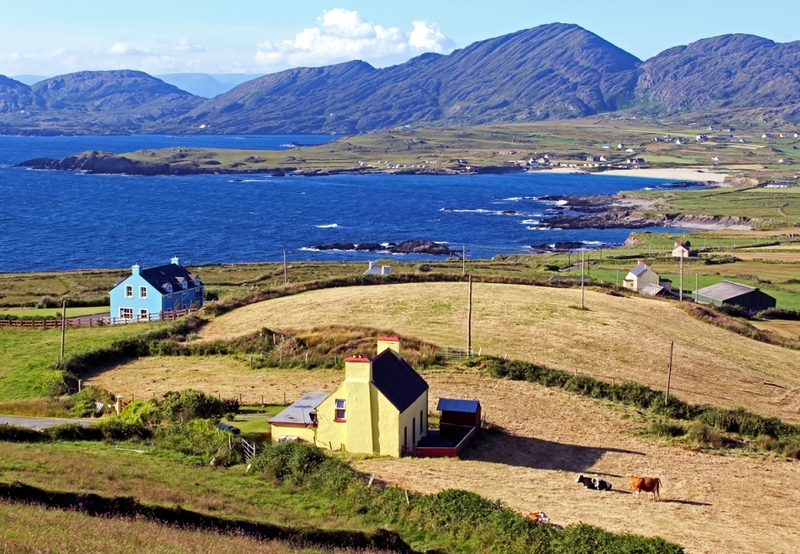 Leg 6: Around the Beara Peninsula to Kenmare, Counties Cork and Kerry. 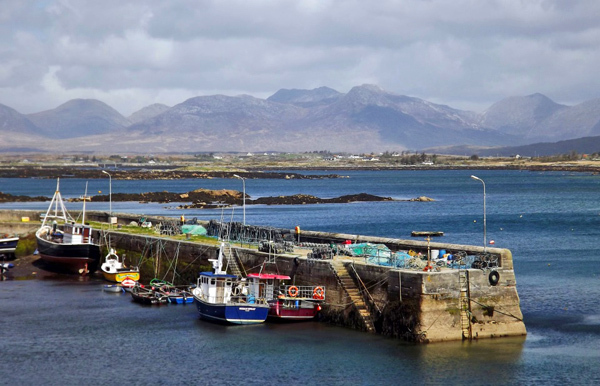 Leg 7: The Ring of Kerry – from Kenmare to Killorglin, County Kerry. Leg 8: Skellig Michael, County Kerry. Leg 9: The Dingle Peninsula – from Killorglin to Tralee, County Kerry. Leg 10: Tralee to Kilkee, Counties Kerry and Clare. Leg 11: Kilkee to Galway City, Counties Clare and Galway. Leg 12: Galway City to Westport, Counties Galway and Mayo. Leg 13: The Aran Islands. Leg 14: Westport to Ballina, County Mayo. Leg 15: Ballina to Donegal Town, Counties Mayo, Sligo, Leitrim and Donegal. Leg 16: Donegal Town to Letterkenny, County Donegal. Leg 17: The Inishowen Peninsula, Letterkenny to Derry City. 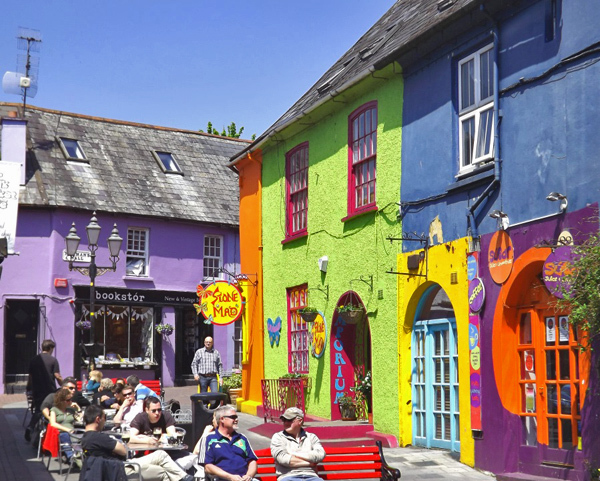 And all the way back down to Cork – the fast way! To get you in the mood, I have included some of the sights we encountered along the way – and some sights from our last visit. 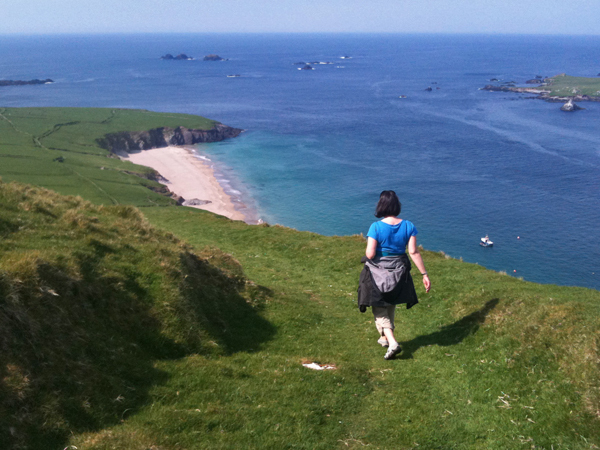 Out for a hike on the Great Blasket Island, County Kerry. 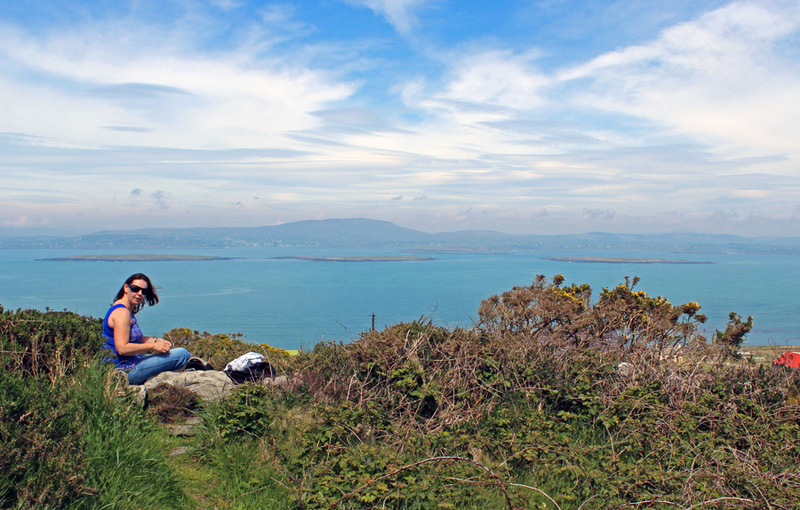 Cape Clear Island, A picnic on top of the world! Near the top of Mount Brandon, Dingle. Crossing to Dursey Island, County Cork. 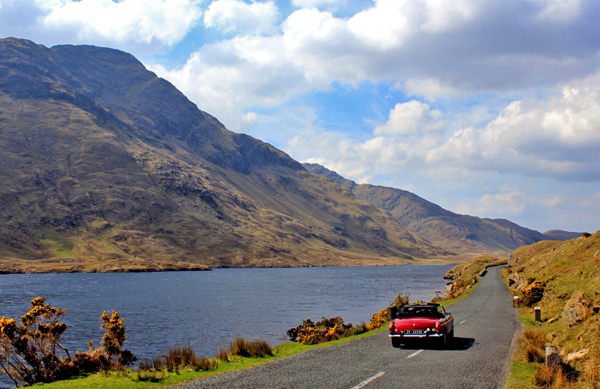 The Doolough Valley, County Mayo. That’s it! Just a taster of what you can expect when you join us on the full trip! Do have a look at the different legs of journey, and be sure to leave a question or comment at the end of each article. 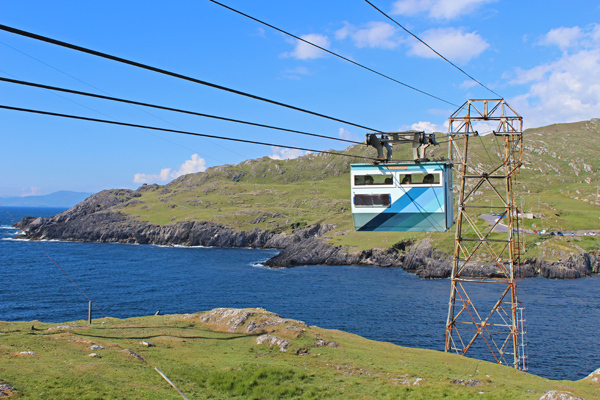 To find out more about the Wild Atlantic Way, you can visit the official website here. Would you like to receive a weekly letter from Ireland to your inbox every Sunday? Just signup for your free weekly Letter from Ireland by clicking here. – and we’ll let you know how to join in the fun. From Milltown to Milltown Cemetery, Belfast. Your photos are lovely, this trip may be something we aspire to. I’ll be following your progress. Thanks for sharing that Jean – lots more to come! Mike. Donegal Town where My Dad was born and raised. I have been many times and I’m still in contact with the Mullin and Timoney Families. Enjoyed your trip – missed seeing the Diamond in Donegal Town. Thanks for sharing. Love all of Ireland and the pictures you post bring back memories of great times. We got some pics of the Diamond – but the day was not great! Thanks for sharing your comment Trudy – you are very welcome. UP DONEGAL! 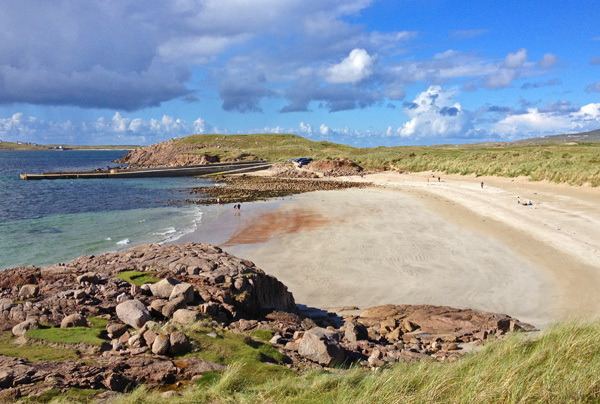 Would love to see some pictures of Malin Beg in Co. Donegal. Is there a way you can plan a trip.like this?